Inside the bathroom, campus police found a $100 bill taped to a mirror along with a note that said, For the janitor, according to Birds arrest report. On the floor of the restroom was a black-and-white, .22-caliber pistol and one spent shell casing. 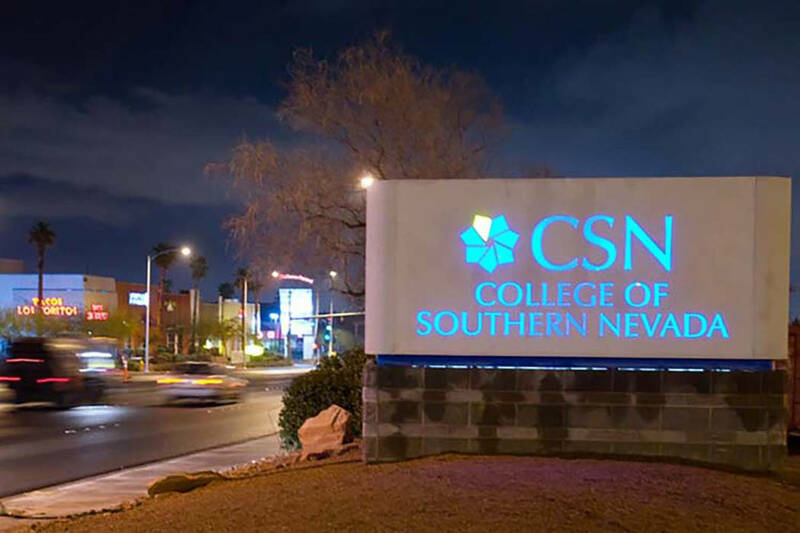 A 911 call was made after several CSN employees and at least one student saw Bird stumble out of the bathroom, bleeding, before he collapsed, the report said. None of the witnesses  who later told police they only recalled hearing a loud noise  initially knew that Bird was armed and had shot himself, according to the report. One college employee told police that he held Birds hand to calm him down as others tried to stop the bleeding. While waiting for authorities to arrive, Bird said he had shot himself in protest of President Donald Trump, police noted in their report. The report did not elaborate. A campus-wide alert was sent about 9 a.m. the day of the shooting, deeming the scene safe and alerting students that the firearm had been recovered. Except for a short mention in the lengthy September edition of The Chronicle, the college presidents monthly newsletter emailed to staff, the college did not disclose any more details about the shooting. On Tuesday, Robert Manis, president of the colleges faculty union, Nevada Faculty Alliance, told the Las Vegas Review-Journal that he has heard a number of rumors about the shooting in the last two weeks. He expressed concerns about the way the college handled the shooting and about its lack of transparency afterward. "A longtime College of Southern Nevada sociology professor ..."
Well, longtime until now. Hard to see the college keeping on a felon with gun charges. It was a good shoot, he took out the perp. With a .22? That's not a protest. That's a 6-year-old's temper tantrum. If you're going to protest Trump, next time use a .45 to the face. Then we know you're serious. And you'll need to leave more than $100 for the cleanup. Yeah. See? Now that's a protest. Nothing says "I hate Trump" more than brains and skull fragments scattered in a 20 foot circle.